ZVISHAVANE- Week long wild celebrations have engulfed the mining town of Zvishavane since FC Platinum aka Kugona Kunenge Kudada clinched the Castle Lager Premier League title for the second time on the bounce. FC Platinum dismissed stubborn neighbours Shabanie FC by a solitary goal last Sunday at Maglas Stadium to win the title with two games to spare. “It’s done and we are happy about it, but we will be cautious with our celebrations as we await the official handover of the trophy when we play our next game at home. 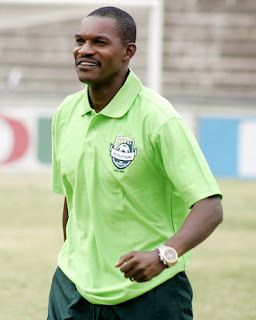 Our team has made history and we are excited about that,” said Eugene Maposa one of FC Platinum’s staunch supporters who could not hide his joy over his team’s success. Beer sales went up as fans celebrated the rare feat as Pure Platinum Play wrote their own piece of history by becoming the first team outside Harare and Bulawayo to win the league title more than once. The FC Platinum gaffer Norman Mapeza added his name on the big boys of coaching by winning the League title three times after having done so with defunct Monomotapa FC in 2008. “I am over the moon, the team has done us proud, Mapeza is a great man, I can grab the moon for him we are very happy, lets drink and make merry while celebrating this early Christmas gift from our team,” added Resign Huruva a long time supporter of Kugona Kunenge Kudada. FC Platinum won the title with an unassailable 74 points as compared to 72 last season and can go up to 80 if they win their last two games. “I want to salute our fans for always being there for us as we travelled this long journey as well as the executive for the unwavering support and guidance, the players, the technical team and also my family. In the end all glory goes to God for seeing us through until this day. “Against Shabanie we were playing for two results, a win or draw but luckily we won. So its congratulations to the boys for a job well done. It was not easy but they did well to get the crucial win. Since the beginning of the season it was a tough road but all our stakeholders rallied behind us,” he said. The priceless goal was netted in by Devon Chafa.